Remember when I was studying in secondary school, always harry to do something. So my parents tell me : 千里之行，始于足下（qianli zhi xing,shiyu zuxia）。It means a journey of a sound miles begin with a single step. 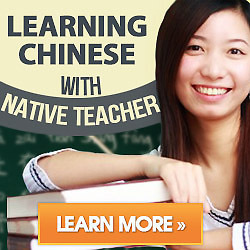 So I share this point to guys when learning Chinese. Don’t think one day up to grab Chinese language, just need accumulate the knowledge brick by brick. So please keep this words in your mind:千里之行，始于足下.